Do you know that there are lots of Windows applications, processes and other things that are still unknown to common users? 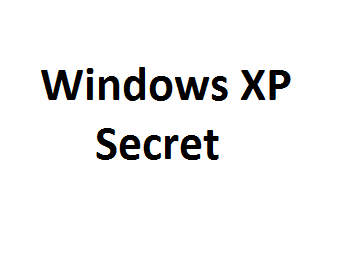 well here are some Windows XP secrets that are worth a look and some you will find useful. Open any image, To create an image trail just hold down Shift then drag the image around. Open any image, select the magnifying glass tool then Left-click exactly on the line below the 8 X. Warning: Proceed at your own risk. First thing you should do is to make a backup of sysoc.inf to do this just browse to C:\Windows\inf\ and make a backup copy. Open the original file C:\Windows\inf\sysoc.inf using your notepad. Go to Edit and select Replace. In Find what textbox type “hide” and in Replace box place “type”, then select Replace All, save and close the file. Go to the control panel, choose Add/Remove, then select Add/Remove Windows Components. You will now see many more Windows components to uninstall. As a safety precaution just leave or just do not remove anything that you don’t recognize or fully understand what it does. Doing so can break certain functionality of your Windows. Go to Control Panel and check any item not selected, then “Apply” and “OK”. You will now see the hidden control panel extensions. Go to the control panel, Choose System, go to Hardware tab and select Device Manager. Select View and Show hidden devices. Click on Start, click Turn Off Computer then press either Shift key to change Stand By button to Hibernate.